UNOBSTRUCTED OCEAN VIEW!!! Absolutely STUNNING 2 bedroom 2 bath plus Den at Shoreline Villa. Enjoy the ocean views from your vaulted ceiling living room, master and second bedrooms, or oversize balcony area. 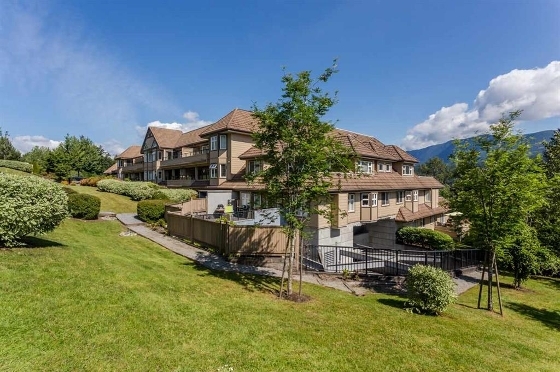 This TOP FLOOR suite is in impeccable condition, and walking distance to schools, parks, nature trails, SKYTRAIN, brewers row, Rocky Point Park, and historic Port Moody Centre. Pristine, open concept kitchen with stainless steel appliances, breakfast bar and tile backsplash. Shoreline Villa is rainscreened for your peace of mind, with durable clay tile roof and BONUS bring the pets!